From the moment you sit down at the MP10 you realise it’s something different, something special. Perhaps it’s the sight of your own hands reflecting in the tall fallboard, or the authority of a family name that has been building exceptional pianos for eight decades. Either way, this is clearly a cultured instrument that demands to be taken seriously. Take a little time to play the keyboard – gently at first, then really dig into it. It’s all there, everything you’d expect from a master piano builder: the quality of the IvoryTouch key surfaces beneath your fingertips, the smooth, consistent movement of the long wooden keys, and the reassuring grade-weighted touch that feels just like the real thing. 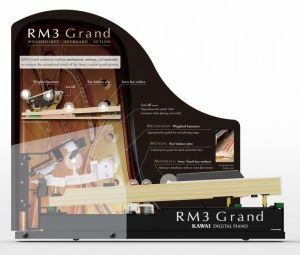 Kawai actions are renowned for being the best in the business, and the RM3 Grand action in this new MP is definitely no exception. All eighty-eight black and white keys are crafted entirely from long pieces of wood, pivoting smoothly on a central balance pin, to replicate the familiar ‘seesaw’ motion of an acoustic piano action. 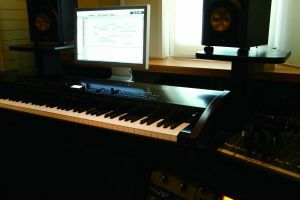 When pressed, the back of each key triggers a grade-weighted hammer to play the note, while additional counter-weights are also placed at the front of the bass keys, helping to lighten their heavier touch during pianissimo passages and the let-off simulation recreates the subtle ‘notch’ sensation felt when softly playing the keys of a grand piano. Click on the RM3 picture to enlarge. However a great action counts for nothing if the sounds aren’t up to scratch, and today’s working pianist needs sufficient variety in their board’s main patches if they’re going to cover everything on the setlist. 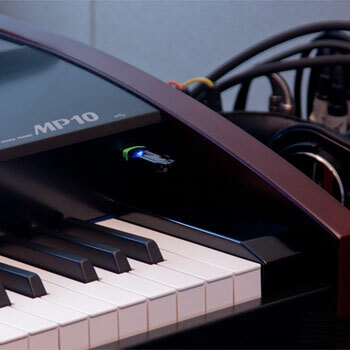 Fortunately this is another area where the MP10 really shines – we’ve quadrupled the amount of sample memory and focused our attention on nailing the sounds that really matter. 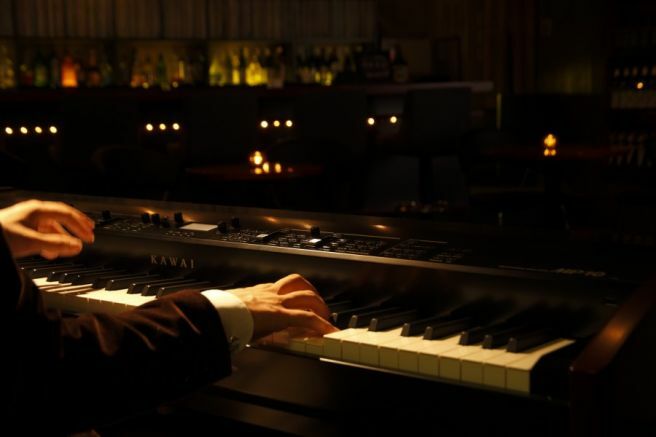 Brand new acoustic pianos, individually miked and recorded for classical, pop, and jazz, with three distinct variations of each. Recording each of the 88 keys individually in this way – as opposed to stretching the same tone over several different notes – ensures that the rich harmonic character of the original grand piano is preserved including damper and mechanic noises and many other aspects of the sound. Complementing their impressive variety of acoustic piano sounds, the MP10 also feature a selection of brand new electric pianos. Classic tines, reeds, and clavs – each one lovingly sampled from original vintage instruments to ensure their distinctive characteristics (and occasional imperfections) are richly preserved. The MP10 offers an AMP simulator with a selection of six different amp types ranging from the crispclean Tweed Deluxe and tender Jazz Combo, to the crunchier growl of a British Blues or UK Class A with direct access to the drive, level and EQ of that amp. Simply select your favourite EP sound, crank up the amp drive, and dig-into vintage keyboard playing heaven.